Whether you're flying for business or pleasure, airline travel should never be a drag. Sure, there are luggage fees and long lines and you somehow always end up in the last zone to board. But once you're settled in your seat, you are flying 20,000 ft in the air. 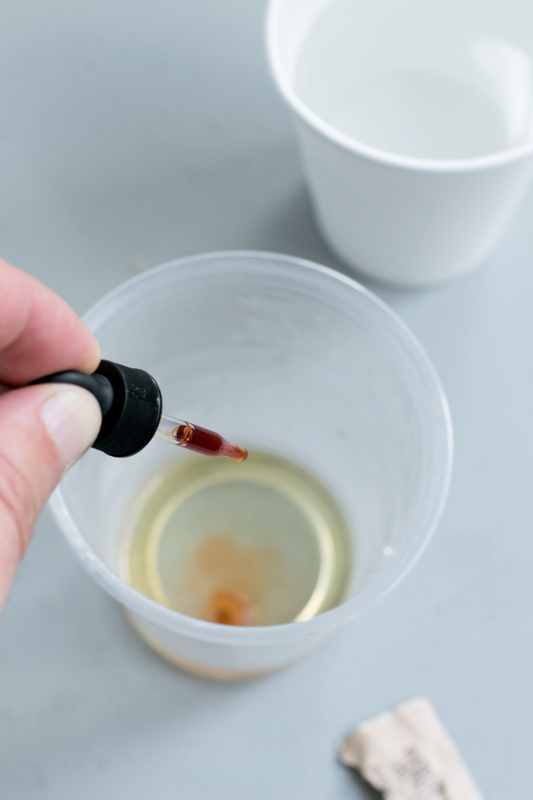 And while the in-flight meal seems to have gone the way of airline peanuts and flight attendants who wear those little hats, that doesn't mean you should have to drink poorly while you cruise at altitude. So, what should you get? Overpriced mini-bottles of mediocre California red blend? An $11 macrolager? Of course not. If you're wise, you can turn out a perfectly respectable cocktail for the price of a single miniature. 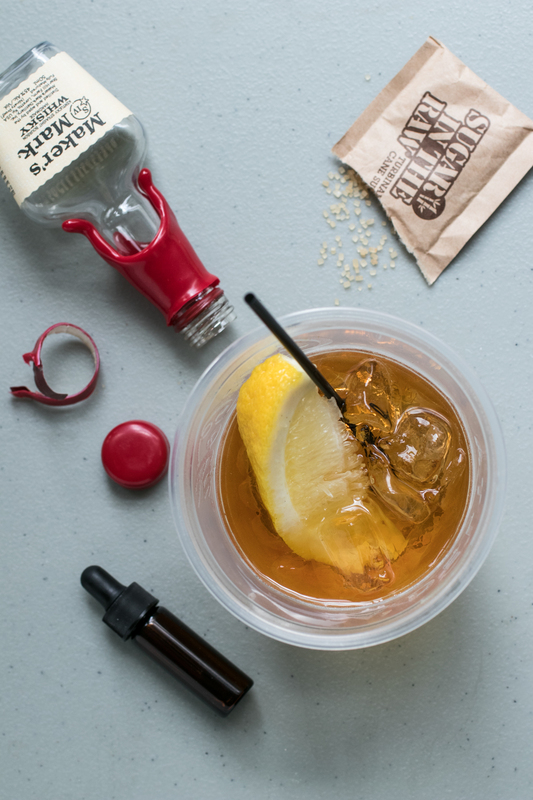 With a few complementary items from the drinks cart, you can make a fine Old Fashioned that honestly doesn't cost more than a comparable cocktail from your neighborhood bar. 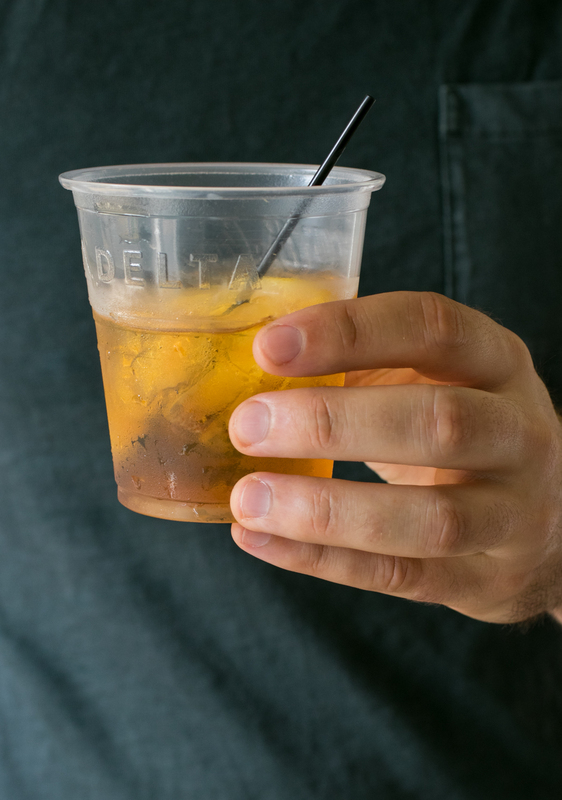 So sit back, relax, and actually enjoy your flight. 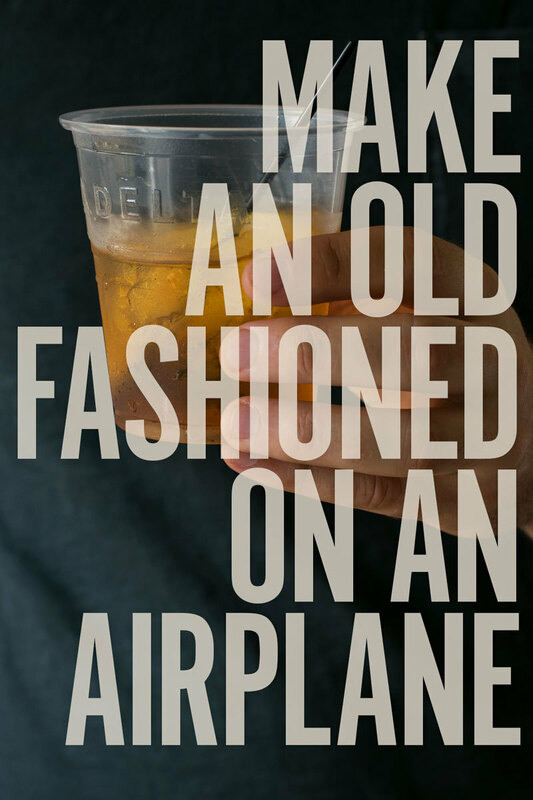 The only thing you need to bring with you is the key ingredient that makes an Old Fashioned an Old Fashioned - the bitters. No airline that we know of will stock these. 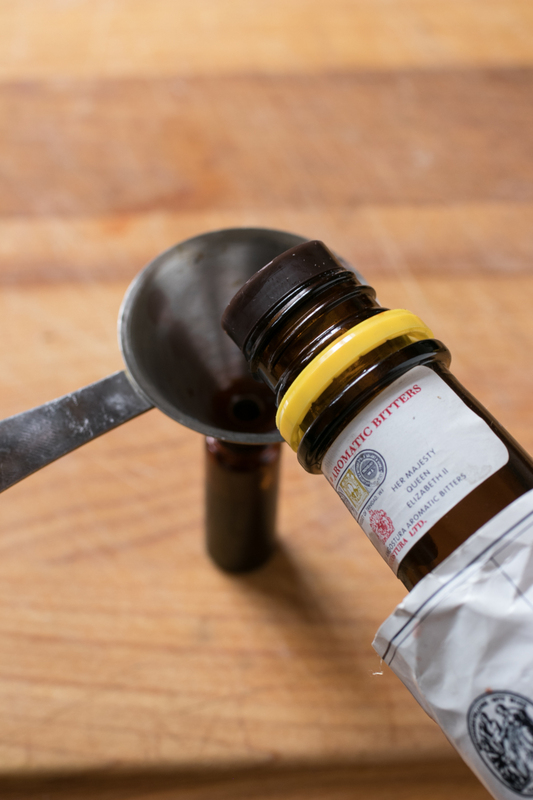 In Europe, you can actually buy mini bottles of Angostura bitters, but as they can't ship alcohol across borders, you'll need to pack your own. This is easy enough to do. Just find a small, sub 3 oz. bottle to transport them in. I used a mini dropper bottle from the Travel Cocktail kit, which you I got from SpecialtyBottle.com. 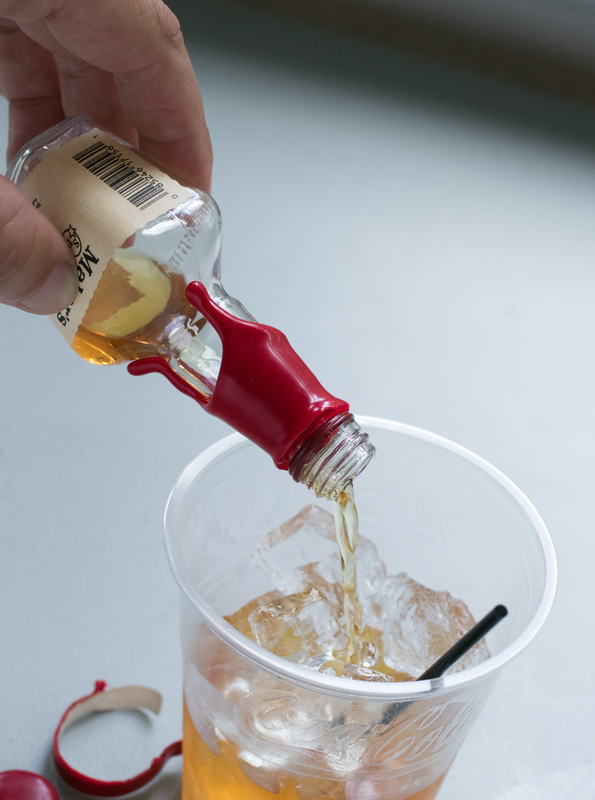 A funnel makes quick work, or you can use the dropper to move things back and forth. I did this only once a few years ago, and I just keep the bitters with my dopp kit and travel toiletries. Airlines don't tend to stock orange slices, but a lemon will do just fine. Begin by twisting your wedge over the glass to express the oils from the peel. 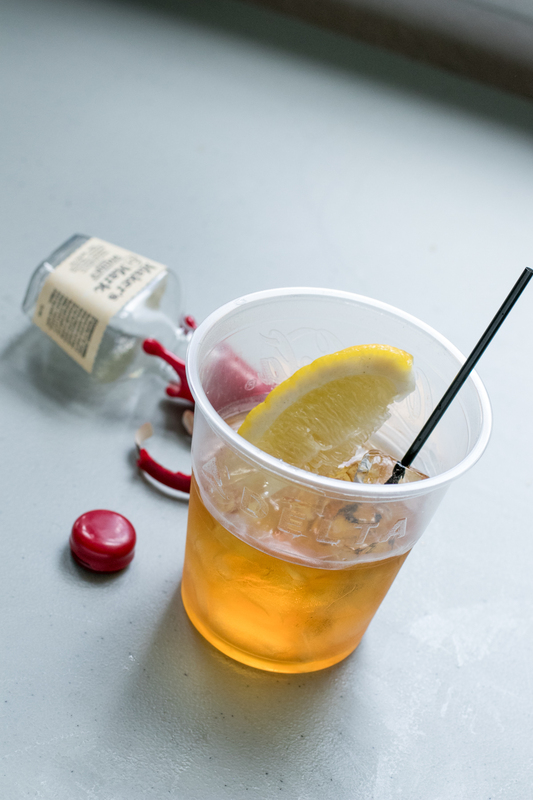 Don't squeeze it – we're not making a whiskey sour here. Just give it a turn, and you'll see the essential oils spray about in your glass. Wipe the peel around the edge of the glass, and set it aside. If you want to keep things simple, you can just toss 1/3 of a sugar packet in the glass and add the whiskey right in there. But, science has taught us the sugar won't dissolve fully in cold liquids. If you like the grit in there, that's okay, but a hot tea is free, so I like to take advantage. 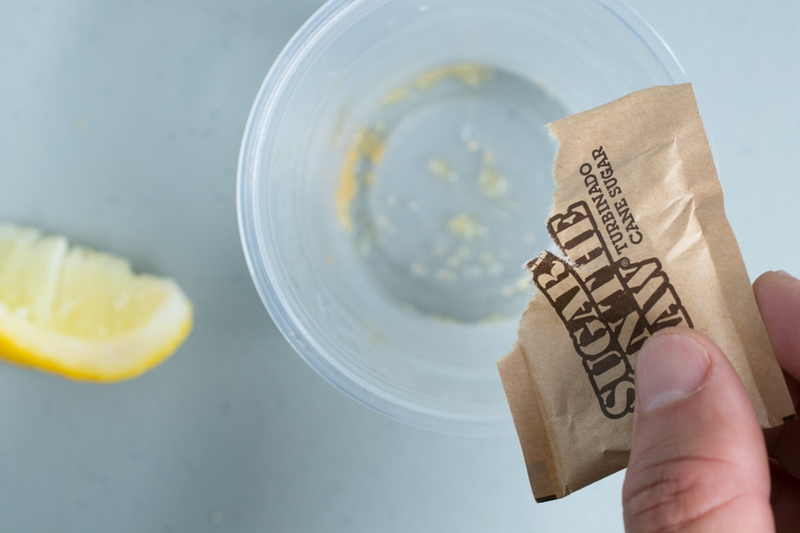 Open the sugar pack and dump between 25 - 50% of the contents in your now-lemoned glass, depending on how sweet you like it. Then, pour just a splash of the hot tea water on top of your sugar. Swirl it a bit to mix with the sugar, and wait just a moment. You can now steep your tea and enjoy, or save the tea bag for your hotel room later. After 30 seconds, you'll have a rich simple syrup at the bottom of the glass. 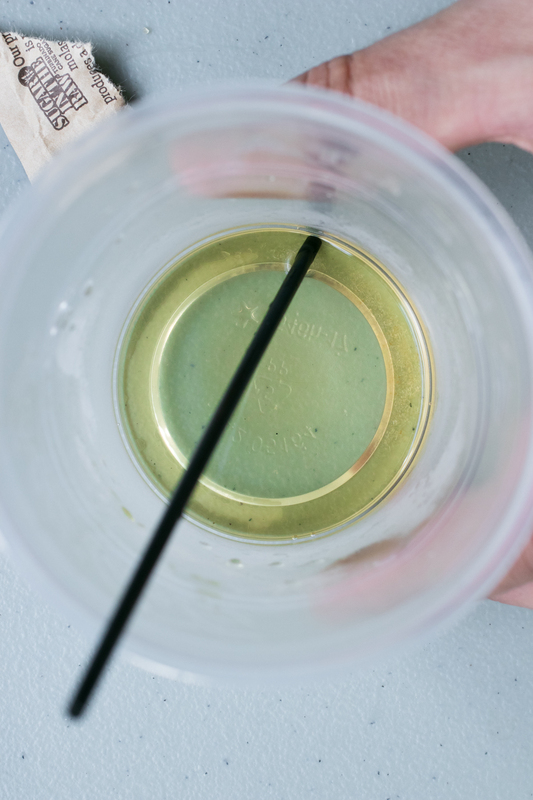 A stir stick will help you break up any remaining crystals. 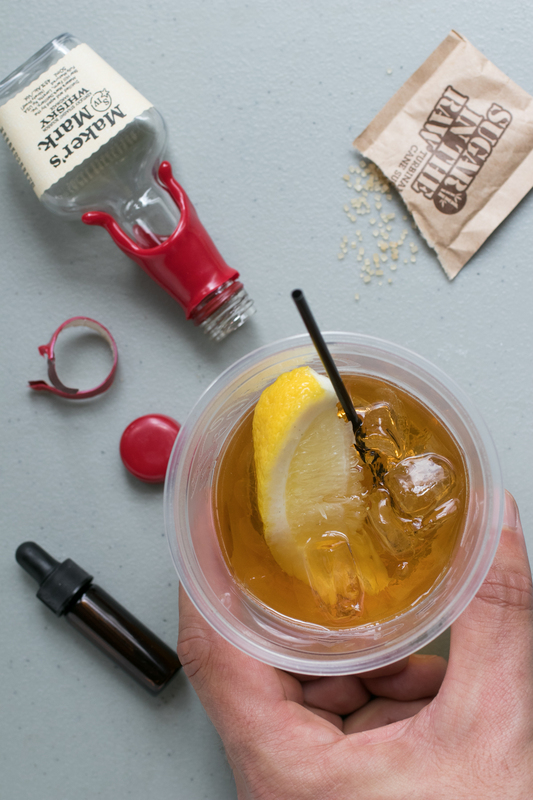 Bust out your prepackaged bottle of Angostura, and add 2-4 dashes to the contents of the glass. 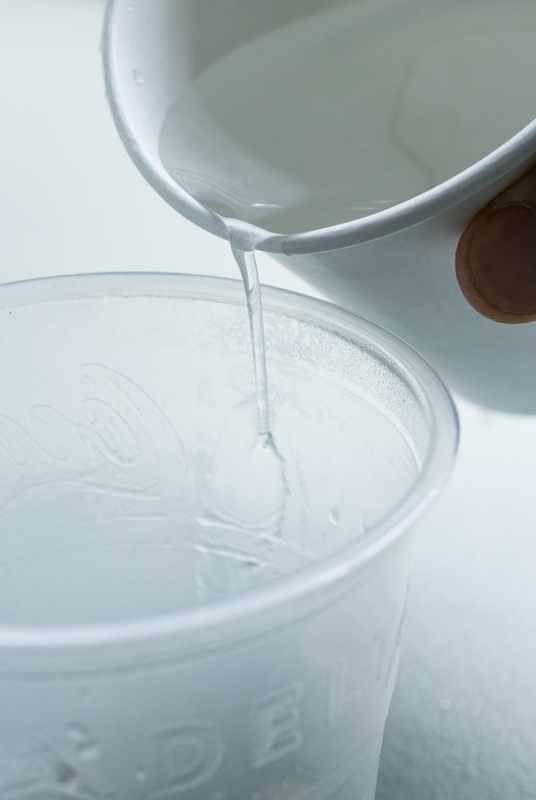 Replace the cap tightly, and store them away until next time. Place several ice cubes on top your bitter-y syrup, filling the glass up about two-thirds of the way. 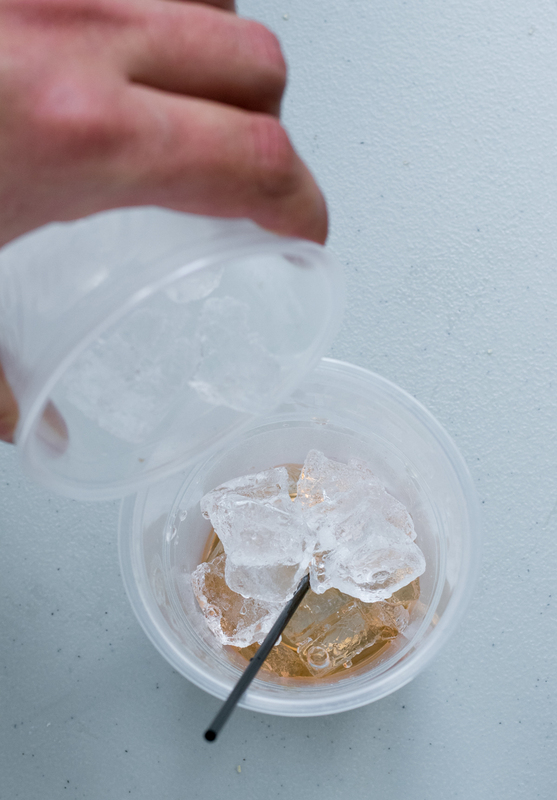 Open your whiskey, and dump the entire contents into the glass. 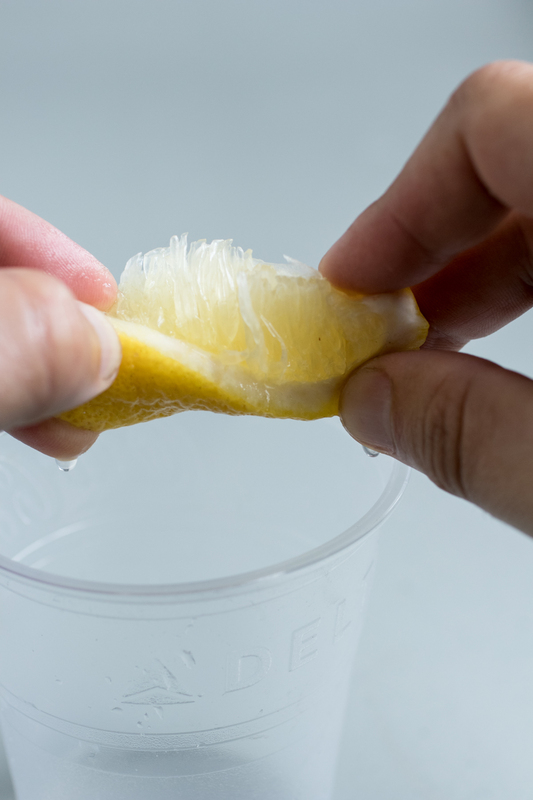 Then, garnish with your lemon wedge, allowing you smell it with each sip. Then, enjoy alongside your book, in-flight movie, or as you get some work done. 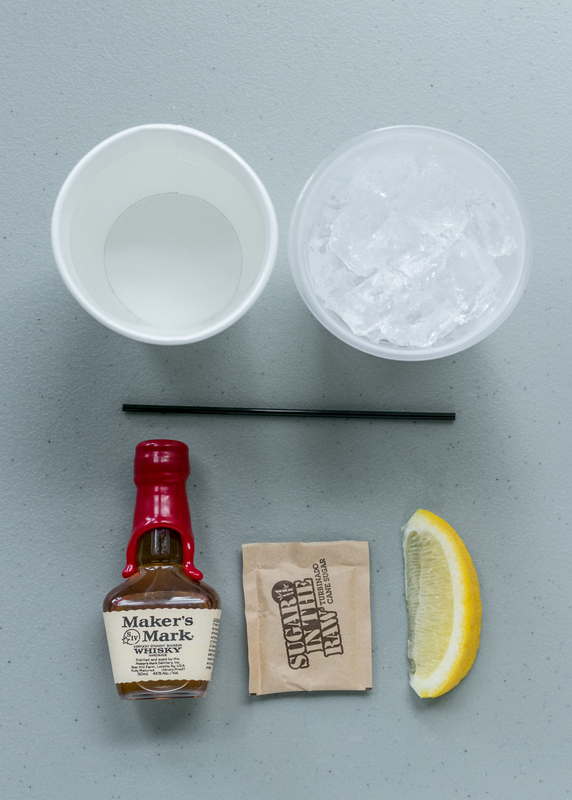 Your accoutrements will make at least two drinks, so if you bought two bottles, have another.